Remember the days when you would have to wait for a restaurant to open before you could actually taste the food? Yeah, that’s no longer a thing in DC, thanks to Al Goldberg and Nevin Martell, founders of New Kitchens on the Block (NKOTB). 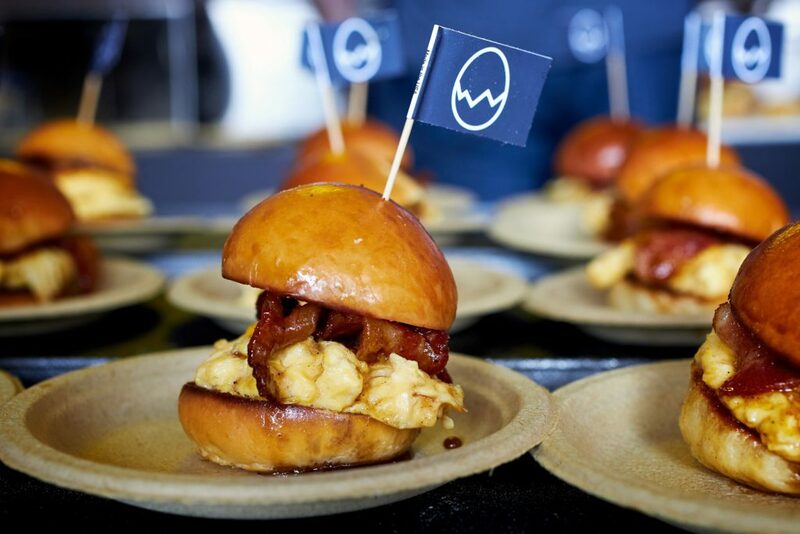 The duo launched the popular event at Mess Hall in 2016 to give attendees sneak peeks of upcoming restaurants. The event took off and last Sunday marked the fifth edition. 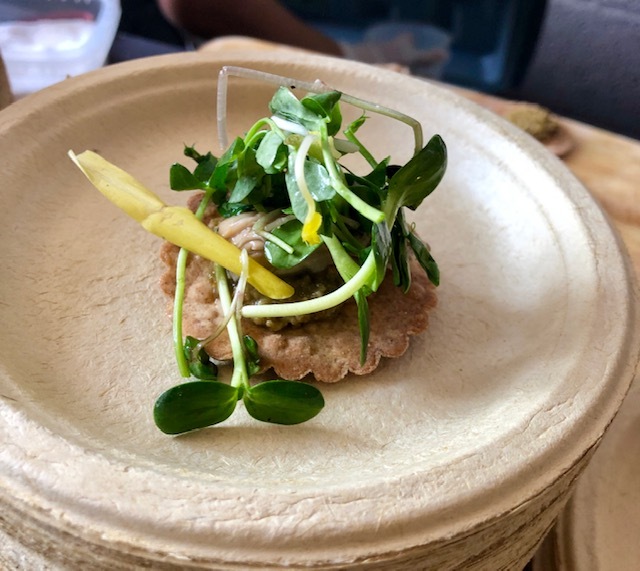 The public had an opportunity to preview 12 new concepts, sample representative dishes, and meet face-to-face with the chefs. While it may be months or sometimes longer before the doors open, appetites are whet for what’s to come. 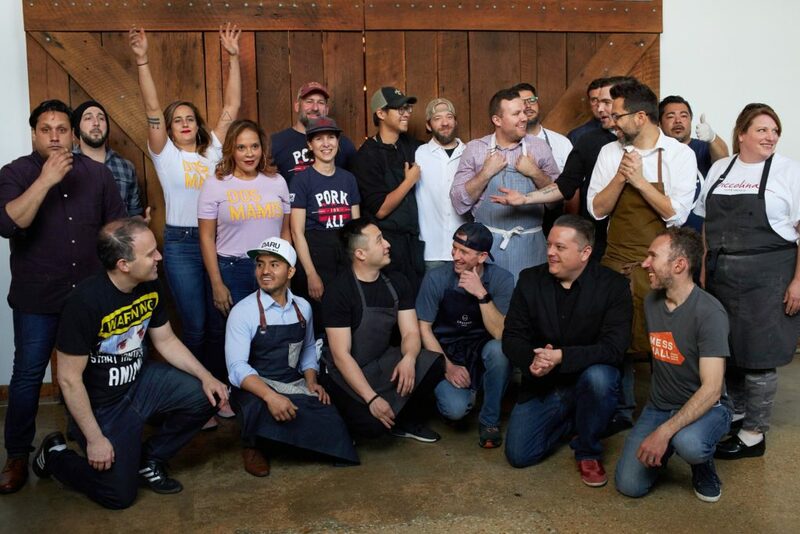 NKOTB 5 was notable for its proliferation of well-established and highly regarded DC chefs. The line-up attracted a sell-out crowd. Some are extending current concepts, while others are going in an entirely new direction. My anticipation for NKOTB 5 was high. I debated my approach and asked the Twitterverse whether I should eat breakfast before attending the noon session or save room. Opinions were mixed. I decided to eat a light breakfast so I wouldn’t knock over other guests with a hangry entrance. It was a solid decision that enabled me to sample every one of the masterful dishes. Here’s what you can look forward to as bright additions to the already dazzling DC restaurant scene. Bar Jônt – Ryan Ratino (Bresca). Ratino was awarded a Michelin Star for Bresca and was named “Rising Culinary Star” at the 2017 RAMMY Award’s. He will add an indulgent tasting menu experience for 18 guests on the second floor of Bresca called Jônt, with the accompanying Bar Jônt, a 35-seat lounge with bites and cocktails. NKOTB Dish: In addition to cocktails, including one spruced up with foie gras foam, Ratino served rinds dusted with ranch powder and a dollop of caviar. Cracked – Mike Tabb, Ross Brickelmaier, Alex Buc, and AJ Zarinsky. 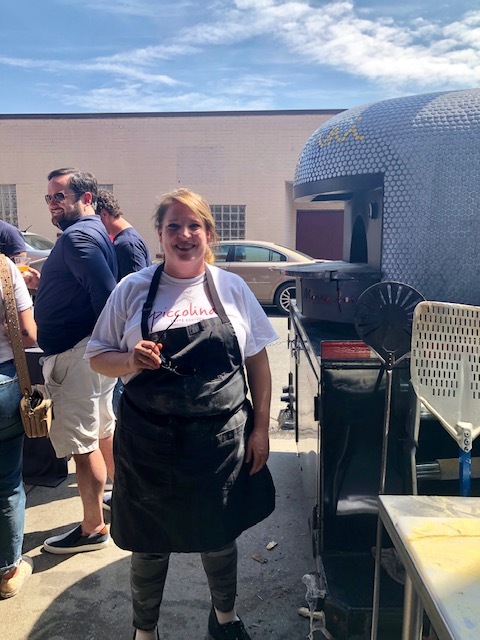 This foursome may be new to most of us, but they made quite an impression with their sandwich “The Mayor.” They plan to open Cracked as a 24-hour breakfast sandwich shop. They’ve been conducting taste tests with a variety of private and now public audiences and will be ready to roll soon. They plan to partner with Compass Coffee. NKOTB Dish: “The Mayor” featuring sweet and spicy candied bacon (!!! ), salt and pepper scrambled eggs, and a blend of cheddar and American cheese served on a buttered brioche bun. 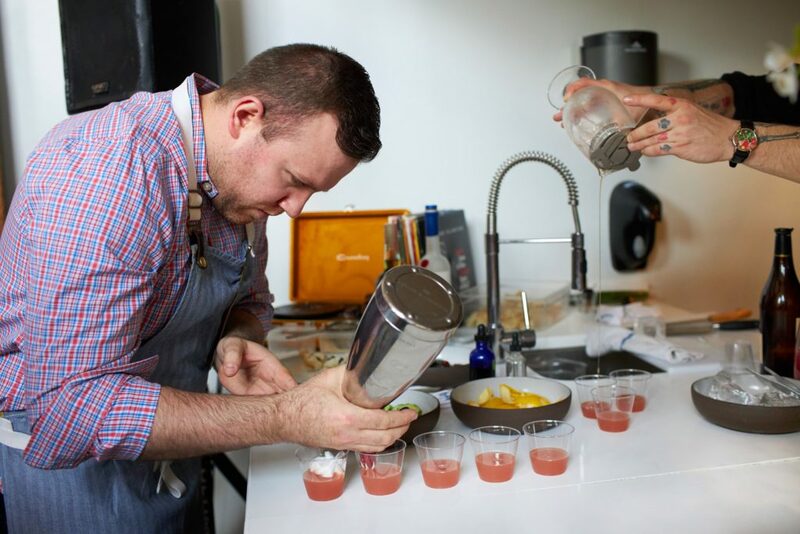 Dauphine’s -Chef Kyle Bailey (The Salt Line). Bailey is a 2019 RAMMY nominee for Chef of the Year. New Orleans inspired his upcoming restaurant, which will open in Midtown Center. 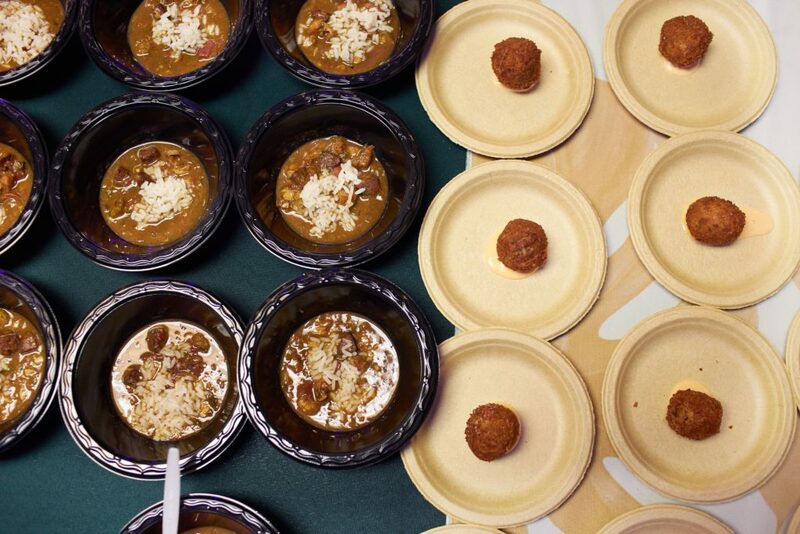 NKOTB Dish: Oyster shooters with Green Hat gin and gumbo with smoked andouille, shrimp, crab, and oysters. Emilie’s – Kevin Tien (Himitsu). 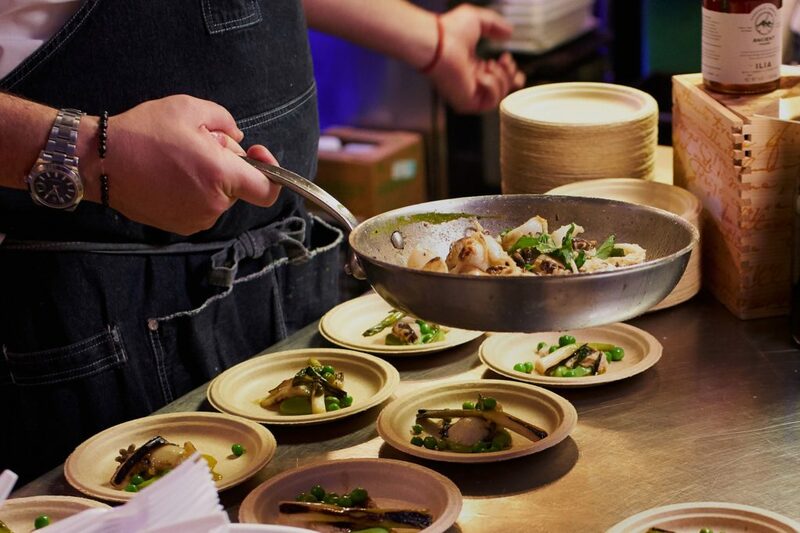 Named “Best New Chef” by Food & Wine Magazine in 2018, Tien will focus on international cuisine when he opens his new restaurant on Capitol Hill. An open kitchen will be center stage. Look for roving carts with oysters and seasonal small plates. NKOTB Dish: 62° egg dressed up with truffle, potato foam, caviar, and parmesan tulle. A sumptuous dish. Hatoba– Katsuya Fukushima (Bantam King, Daikaya, Haikan). 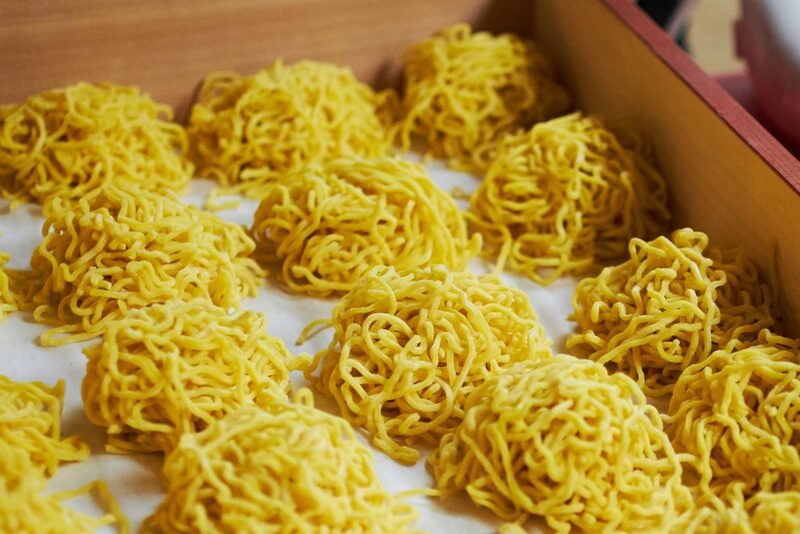 The highly-regarded Chef Fukushima and his crew toiled on a high-powered wok range brought in for the event to showcase his upcoming Sapporo style ramen shop. Plus, there was a blow torch. NKOTB Dish: Akamiso Gyokai (spicy red miso seafood ramen) with pork. Get excited. This bowl was a stunner. Philotimo– Nicholas Stefanelli (Masseria, Officina). This Michelin-starred chef will open a Greek restaurant at the Midtown Center, a 14-story mixed use complex that’s now under construction. NKOTB Dish – A spring awakening of Cretan cuttlefish with fennel and peas. Piccolina – Amy Brandwein (Centrolina). Chef Brandwein is a finalist this year for James Beard Best Chef Mid-Atlantic and won a RAMMY Award for “Chef of the Year” in 2018. Her new restaurant will be in CityCenter DC, directly across from Centrolina. Look for wood-fired everything at this all-day café. Her market will also move from Centrolina to the new space. NKOTB Dish – Two varieties of Sicilian scacce (stuffed dough) made in a wood-fired oven brought in for the event by Mess Hall founder Al Goldberg. One was filled with tomato, cheese, sausage, and greens and the other was a combination of lamb sausage and broccoli raab. Check out @piccolinadc on Instagram for food photos. Prima– Michael Schlow and Ed Scarpone (Alta Strada, Casolare, Nama, The Riggsby, Tico, and more) Michael Schlow won a James Beard Award for Best Chef, Northeast in 2000. His expanding restaurant empire will now include a fast-casual Italian restaurant in Bethesda Row featuring customizable bowls and a gluten-free menu. I’m fired up about this group’s expansion into Montgomery County. 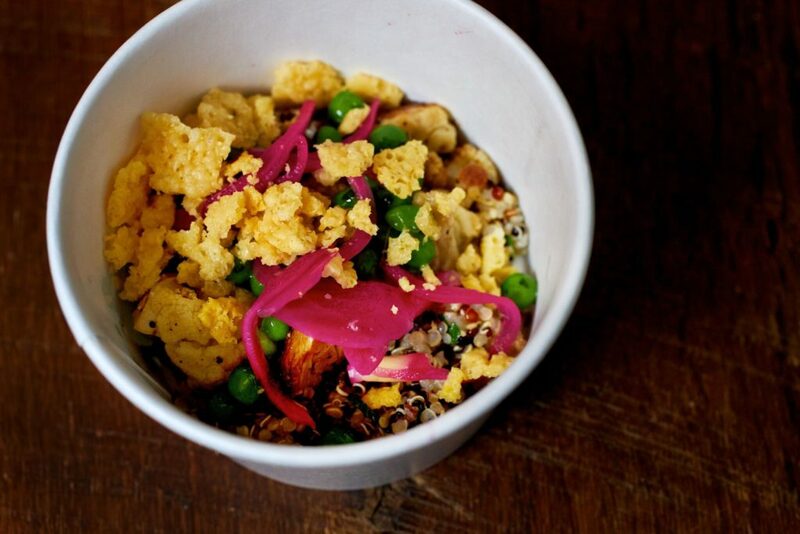 NKOTB Dish- Dragged Through the Garden, a combo of peas, cauliflower, pickled onions, and quinoa. Oyster, Oyster– Rob Rubba. The former Hazel chef led the restaurant to its RAMMY Award win for Best New Restaurant of the Year in 2017. Oyster, Oyster will be a plant-based restaurant which will make an exception for bivalves. (Some vegans and vegetarians eat them because they play a vital role in the ecosystem and don’t feel pain.) 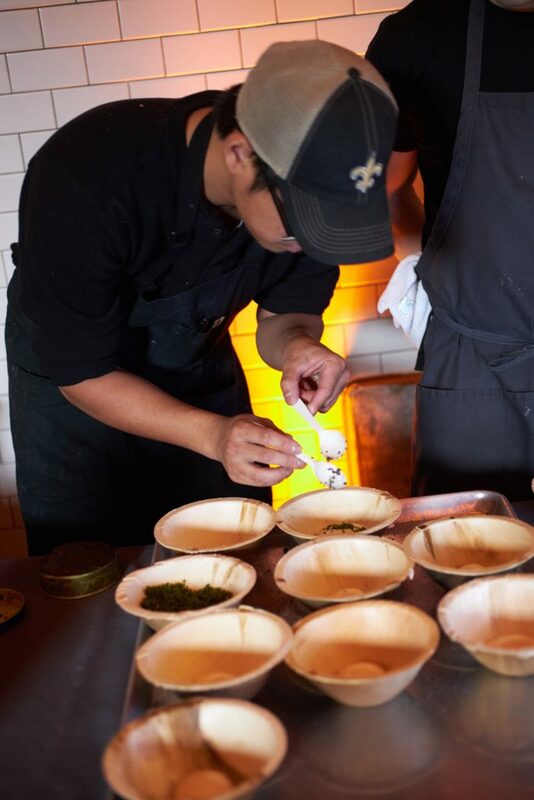 I attended an Oyster, Oyster pop-up and eagerly await this restaurant’s debut. Daru – Dante Datta (Ellē) and Suresh Sundas (Rasika West End). 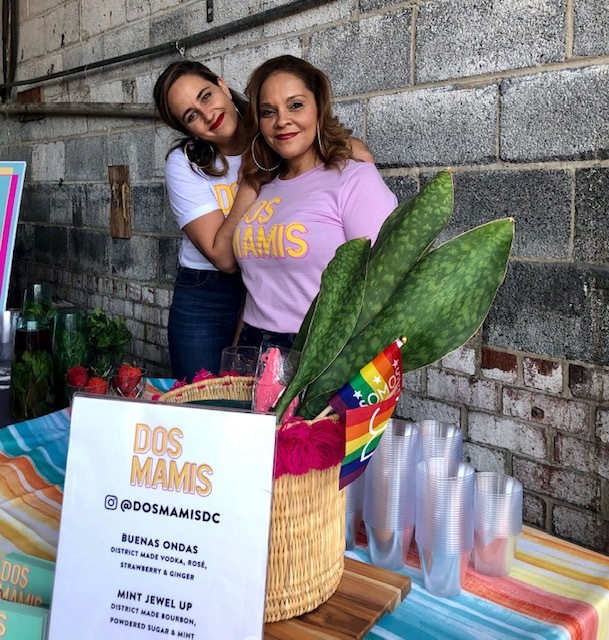 This duo is partnering on Daru, a cocktail bar with Indian-influenced drinks and snacks. NKOTB Dish: Avocado Sev Puri, a Guacamole-like blend of tomatoes, avocado. onion, chilis, yogurt and Indian spices served on a crisp puri chip. Kalighat Punch showcased the upcoming cocktail menu created by Datta, who is currently the bar manager at Ellē. Sloppy Mama’s Barbecue– Joe Neuman. 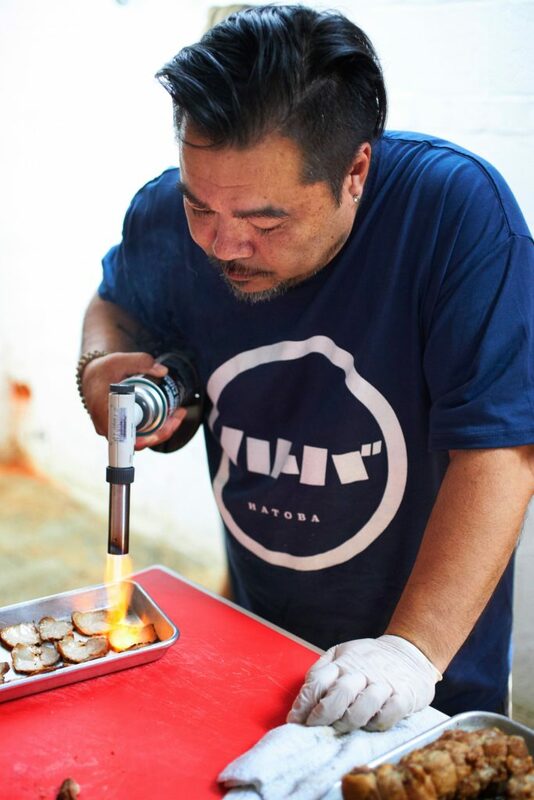 From a food truck to a stall inside Union Market, this barbecue purveyor with the motto of #porkforall will open his first restaurant in Arlington. NKOTB Dish: Cheese & Crackers. Smoked pork and pimento cheese served on a happy cracker.